YouTube Let's Play gamer most well known for his self-titled channel. He also has a collaborative gaming channel called Versus with his friend and partner AttackingTucans. 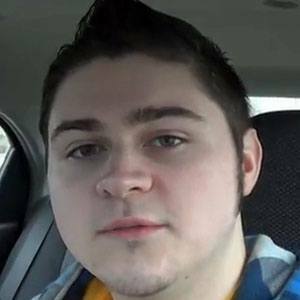 He was a short-lived member of the Let's Play collaboration channel TheRunawayGuys and first started posting Let's Plays in December of 2009. Some of the video games he has completed for his channel include a couple of Zelda games, a couple of Rayman games, Banjo-Kazooie, and Mario Kart 64. Originally from North Berwick, Maine, he later moved to Seattle, Washington. He began seeing his girlfriend Brooke in 2013, and they got engaged on August 28, 2015. He started a collaborative gaming channel called Versus with his friend Tyler Sederwall.